Angela of Blue Wings Events collaborated with over 35 vendors from catering, decorating, infrastructure, entertainment, beverages and service to execute a trade expo that hosting 70 member booths. And she did all of this in less than three months. This year we saw the BEST turn-out and engagement ever with over 500 attendees. We owe much of that success to Angela. She was organized, efficient and always completed work with a smile, even through challenges. Positive, constructive, creative and competent: Angela breathed life into this event with poise and precision. We look forward to working with her for many of our events in the future and see her as an invaluable member of our team! With over 16 years of event management experience in the corporate industry, including being a member of the executive leadership team in managing the largest public sector banking group in the country with a leading bank that had assets in excess of $12 billion, she effectively planned, executed and integrated all sales marketing strategies on the west coast. Angela is considered an expert planner using her trademark composure, skills of problem solving, creativity, and flexibility to help clients produce corporate events and meetings. She excels at logistics and operations, and her attention to detail means that events and meetings go smoothly from concept to completion. Highlight your company in the best light and generate high-quality leads with professional, efficient event management and coordination by an experienced and seasoned team. Hosting an event at your business is a great way to network and generate qualified customer leads. In fact business owners feel that an informal event like an open house or ribbon-cutting ceremony boosts confidence in their company and builds stronger relationships along with growing their business seven to nine percent faster. But hosting such an event can be overwhelming if you don’t know where to start. Likely, you and your staff are already busy, you are experts in your own industry and not corporate event planning, or you just don’t know where to start. Thankfully, with the help of a professional event planner, you can still host events that show off your company in the best light and generate high-quality leads for your business. From annual meetings to holiday parties, team building events and special company celebrations. Blue Wings Events planning and coordination services will help you pull off your special event with professionalism. These events are opportunities to interact with key audiences, build relationships and enhance your brand. Planning a successful and flawless event requires a great deal of thought and preparation. Instead of leaving the details to chance, why not leave it to the professionals? This service includes assistance with all aspects of planning your event, including but not limited to: developing your theme and budget, researching venues and vendors (includes visiting potential venues with you, attending tastings, arranging and conducting vendor interviews, etc. ), negotiating and reviewing contracts, assisting with your seating chart and arranging accommodations for out-of-town guests. … Angela is the consummate event professional with great communication, excellent organization, and keen attention to detail. Not only did we have happy sponsors and vendors, but we boasted the largest crowd ever with nearly 400 guests over two hours. 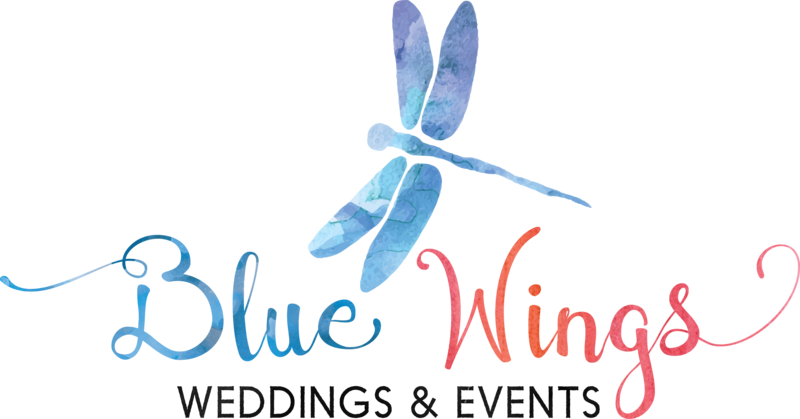 Being a Chamber event, guest and vendor experience is incredibly important, and I can confidently say that I would strongly recommend Blue Wings Events for any corporate or private event. As an event coordinator we are militantly organized and love it, so you are in good hands! Our initial consultation is free of charge– we see it as an opportunity to get to know each other to ensure that we will work together successfully and outline your needs to be able to offer an affordable price.